ST. GEORGE — A panel of citizens appointed by Utah Gov. Gary Herbert has approved an increase in the number of permits available to hunt cougars this year in spite of opposition raised by the Humane Society of Utah and others. 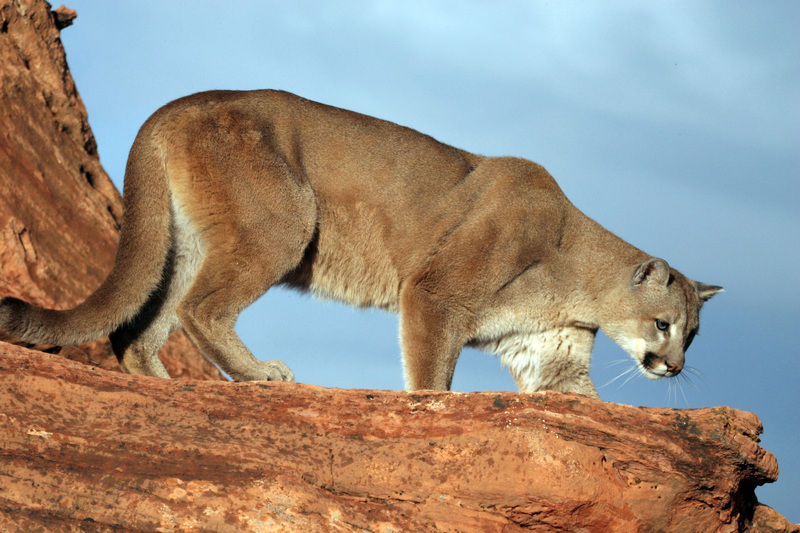 The Utah Wildlife Board, which met on Sept. 1, was informed that Utah’s cougar population was doing well with plenty of cougars in the population. A total of 60 incidents of cougars attacking livestock were reported in 2015-2016 . That’s 26 more than the previous year. The number of hunting permits issued in Utah will increase from 495 to 532 for the 2016-17 season — which runs from Nov. 9 to May 31. 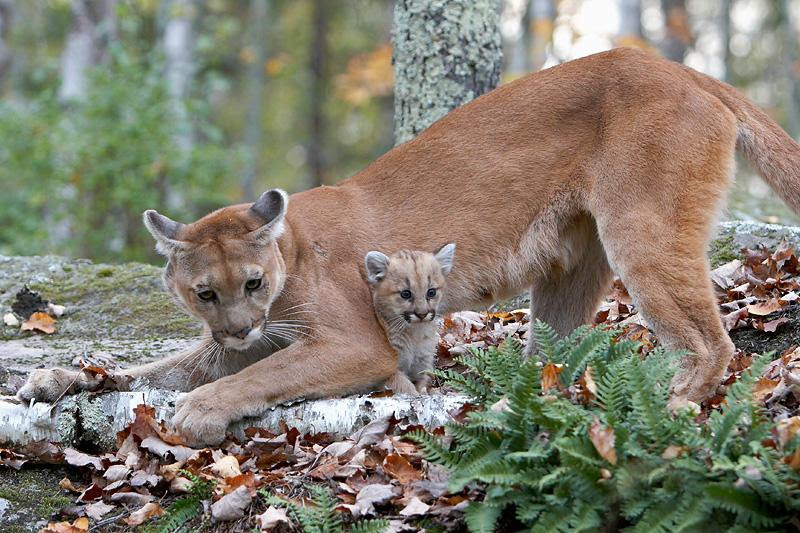 During the last season, 371 cougars were killed in hunts which translates into a 75 percent success rate. The changes approved by the board should result in some additional cougars being taken this year. “Most of the additional cougars will be taken in areas where the livestock incidents happened last season,” mammals coordinator for the Utah Division of Wildlife Resources Leslie McFarlane said. Members of The Humane Society of Utah attended the hearing and afterward issued a press release saying that the additional hunting permits, which they termed “trophy hunting,” are shortsighted. During the hearing representatives of the group spoke in opposition to the needless killing of more cougars, arguing that the Board was not representative of the Utah majority that does not hunt. Asking for additional research to be done by an independent panel of experts, HSU also asked the board to look into alternate nonlethal population control measures to be considered. “We’ll continue our work to eliminate pain, fear and suffering in all animals and will return next year if the issue arises to increase the needless killing again,” Baierschmidt said in the press release. The wildlife board is made up of hunting and livestock interests, with no voice from people who don’t hunt, ranch, or believe in science. Hunting for sport – trophy hunting – is sickening and immoral (for those of the L.D.S. persuasion, read the first Joseph fielding Smith comments about this). The so-called management of wildlife in Utah is simply about money. Hunting groups, their lobbyists, and their money, have too much influence, and as is typical in Utah, the voice of real science and real citizens are muted. Without trying to be too flippant, here. Considering the skills of the average Utahn hunter, I don’t think the cougar population has too much to worry about. Is the increase in tags to do with an increase in population? Or is it because of the inability to fill the previous year’s quota? Increased tags because of increased population numbers, which means more deer and elk will be eaten by the increased cougar numbers. Would we expect any other news from the “Inane Society”. Well when it comes to half-assed Im sure you’re the expert Praise the Lord ! Trophy hunting is wrong. Killing for sport is wrong. Killing for fun is wrong. Why someone would want to kill for these reasons….I will never understand. Sometimes hunting lions is needed to keep the predator population in check. It’s interesting to note that the author of this article chose these specific pictures of mountain lions in reference to the topic of the article itself. Sleek, majestic looking cats, and a mother with her little cub… Nice. How about some pictures showing what these predators do when they AREN’T looking so sweet and innocent: Why not a picture showing a cougar, steeped in blood, that just took down a deer…. or a cougar with it’s jaws clamped into the throat of a sheep…. or maybe chewing on someone’s pet dog that was an easy catch- and yes, that has happened before. Reread that last one- the attacks almost DOUBLED in one year. That means there are more lions venturing into areas that humans are in, and THAT means they are roaming farther to find their own turf to prowl because there are more lions than the area can successfully sustain. Yes, humans have expanded into the lion’s territories, but humans aren’t leaving anytime soon, and relocating cougars is reactionary at best. People cannot just wait for the time when ’60 incidents of cougars attacking livestock’ becomes “60 incidents of cougars attacking children, almost double from last year’. That might be an extreme number, but that’s what can happen when there are too many predators in a geographical area that cannot sustain them. Bottom line: From time to time a predator population does need to be culled. No, I am not a cougar hunter, but I do want there to be sustainable deer and elk populations in the coming years.